Don’t Worry Bear by Greg Foley is a book that you should all read. It is about being a bear and not worrying. It is only 24 pages long. It may also be about friendship. But that’s quite deep comparatively, and I’m not sure my head is up to it right now. I think, in my illness, I’ve regressed to be being about four and as a four year old I highly recommend this book. 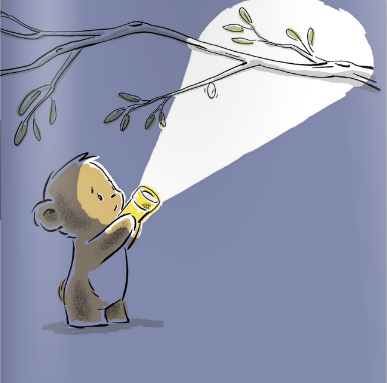 It has adorable illustrations, less than twenty words on any given page and, well, a bear. Can’t go wrong there. If you don’t want the bother of actually turning the pages yourself you can even watch this video of someone else doing it (to the accompaniment of some rather odd music, it must be said). My copy is cuter than the one in the video because it’s of the board book variety and can therefore be used as a building block or somewhere to put your toast. There’s also something about the rounded board edges and the fact that absolutely no grace or finesse is required to turn the pages without damaging them. As I only barely have the grace and finesse to walk across the room without colliding with more than one piece of furniture at the moment this is an enormous plus. As was the fact that this book was within arm’s reach when I wanted something to read. Five out of five bear hugs.